Excellent interview with Viggo Mortensen about the Hidalgo, his version of "method" acting, and how painting, writing, and fishing can take the place of resting between takes. "People talk about Method actors... The right method is whatever works for you. And what works for me on any given day is going to be different." 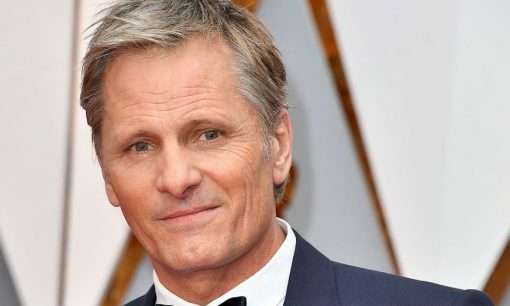 Viggo Mortensen talks about making The Fellowship of the Ring, the Harry Potter phenomenon, sword-fighting and his new tattoo. In this interview prior to his trip to Italy, Viggo discusses the difficulty of staying in character while filming two very different roles simultaneously (Portrait of a Lady and Daylight). He also shares thoughts about Crimson Tide and other prior movies, and about the challenges of balancing films with his private life. Great photos by Bruce Weber. 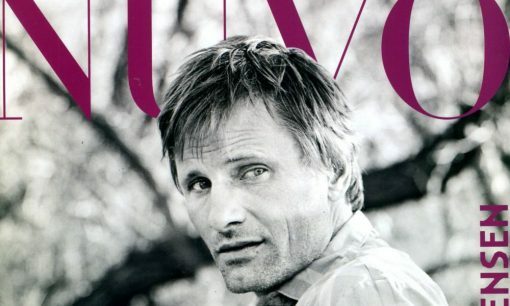 Patricia Arquette, who was Viggo Mortensen's co-star in Indian Runner, leads Viggo through a free-form interview on gardening, acting, life goals, and liposuction. 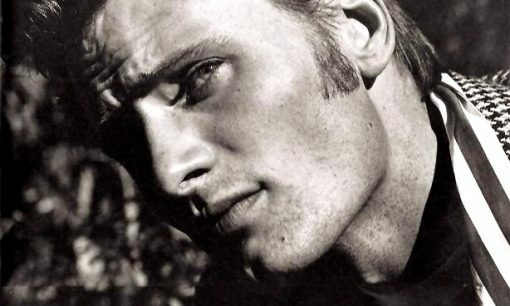 About Crimson Tide, Viggo says, "It was nice to play a guy with a job and a family, rather than a guy with a big ax to grind. And scary too, because in a role like that you have to fit in, whereas you don't if you play a sociopath. In this role, I couldn't hide behind violence or fake teeth."